I'm a hopeless romantic, and Valentine's Day is one of my favorite holidays! So V-Day seemed like the perfect theme for this week's inspiration board. Enjoy! Wishing you all a wonderful Valentine's Day with your sweetheart! 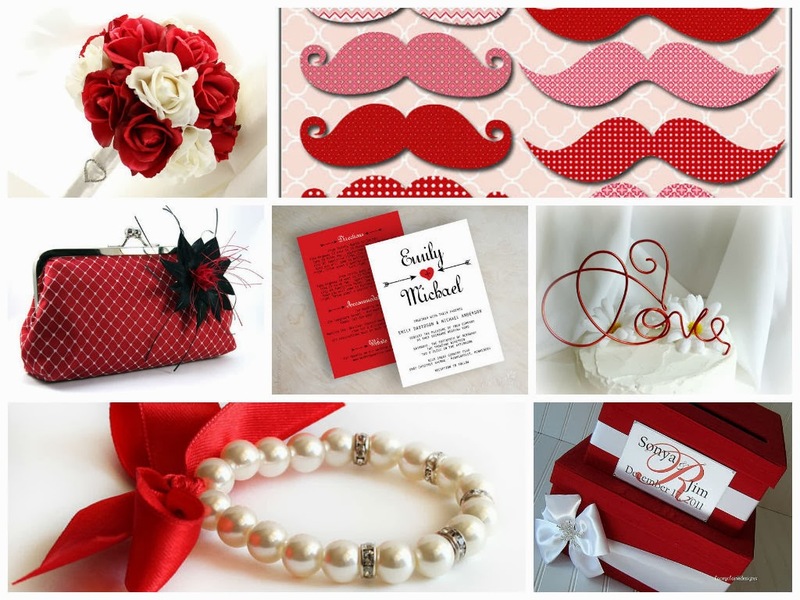 So pretty - I love those red moustaches! Thanks for thinking of my card box when you created this! Happy Valentines Day!